Argh - I did a thing! Don't worry I didn't go get acrylics or gel, I just put on some long stick on nails an painted them. All I can say is how to girls with long nails like this even function! The truth is I could barely wear these for 30 mins. Why did I do this you ask? 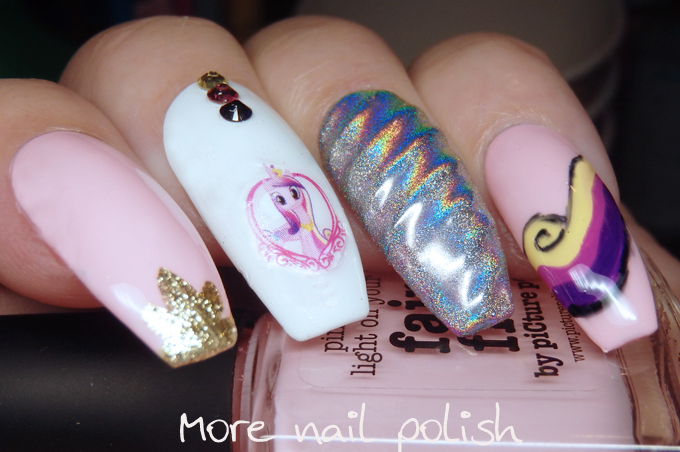 Well I had seen so many amazing unicorn horn gel nails on instagram, but they were always done on long coffin or stiletto shaped nails. 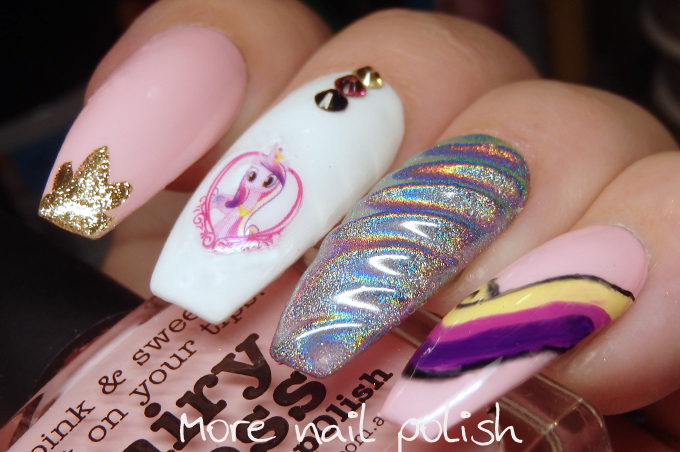 A unicorn horn was always going to look a little silly on my shorter square nails. 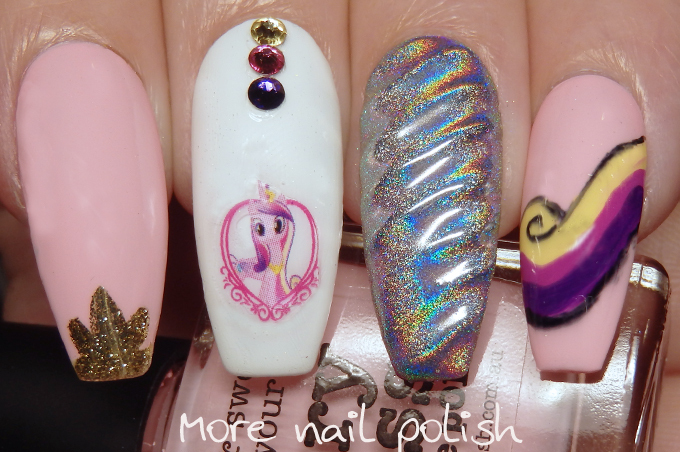 In the end I ended up doing a specific unicorn, Princess Cadance from My Little Pony. I have a whole sheet of MLP stickers for my daughter, but they are pretty sucky and don't stick very well. 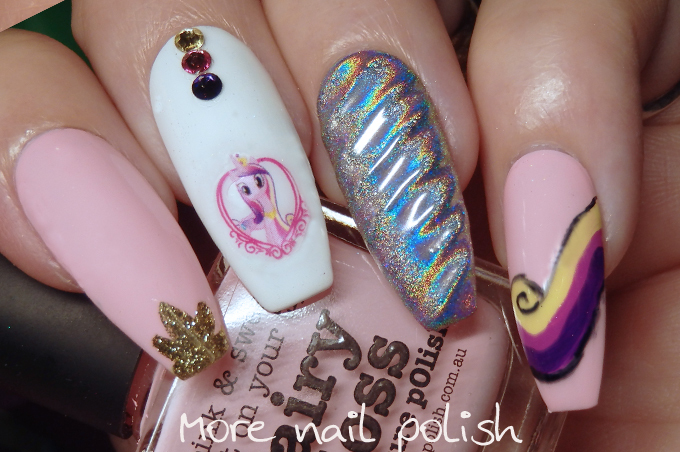 Under the holo unicorn horn nail is actually bright pink, as Cadance's horn is pink, but that holo is so blinding it's hard to see the pink tint behind it. This mani is soooo cute, love the holo effect on the rig-fingernail!